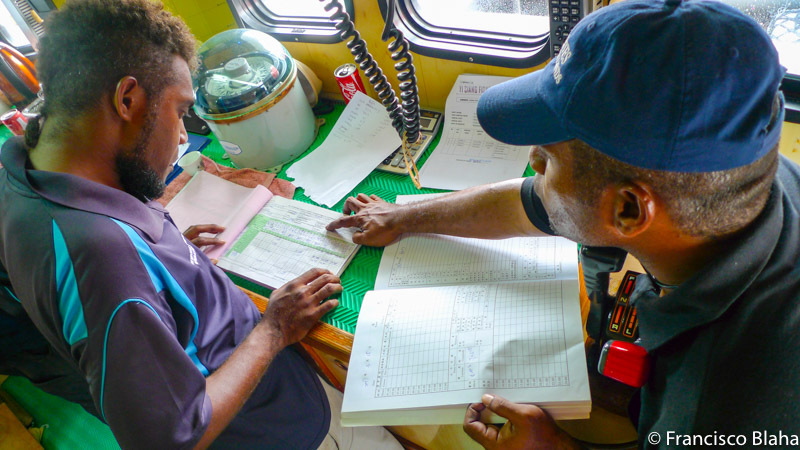 There is no secret that I am a constructive critic of the EU IUU Catch Certification Scheme, while at the same time I have specialised in helping countries to deal with it and get off Yellow cards (particularly in the pacific). Yet I have repeated many times that my criticism was not a the principle (which is great!) but at the poor design of the implementing tool, the catch certification itself. where every catch cert should start. The carding system (yellow, red) was never part of the regulation itself, but rather a football analogy (in rugby with a yellow card you leave the field for 10 minutes), yet has been the most visible outcome of the IUU Reg, and no doubts the "name and shame approach" has pushed many countries into action, and that has been a good thing. Only recently some NGOs have started digging into the “effectiveness” of the CCS and come up with some reports that in many ways support with their own data the criticisms that some of us were vocal about. Here is the latest: The impact of the EU IUU Regulation on seafood trade flows: Identification of intra-EU shifts in import trends related to the catch certification scheme and third country carding process. I leave it up to you to read, but it confirms things some of us have said for years: with no centralized database the system will always be ineffective, and if you one border gets to “tough” send it to the country next door… and so on. The future EU-wide database of CC information, currently being developed by the European Commission, presents further opportunities for strategic trade monitoring. Once complete, this would allow additional information (e.g. on flag States of origin and processing countries) to be cross-referenced against data in Eurostat, to aid interpretation of trends. Together, these datasets could present a powerful tool to identify trade anomalies or discrepancies indicative of IUU fishing activities. Trade analysis can also confirm suspected shifts in the origin and destination of imports resulting from border controls and the carding process. This was seen for the reflagging of Sri Lankan vessels to the Maldives following the Sri Lankan import ban, and the diversion of swordfish imports to Portugal following increased verifications in Spain.